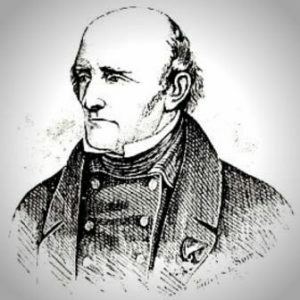 When I studied Remedial Massage we were told the origins of the profession were to be found in the Swedish Gymnastics system created by Pehr Henrik Ling (1776-1839) (learn more here). Following this we learnt a Massage style called Swedish Massage and the associated techniques Effleurage, Petrissage, Tapotment, Friction and Vibration. Upon hearing these terms my first thought was, words like Effleurage, Petrissage and Tapotment sound more French than Swedish? So having sat with this question for 15 years and having in recent years developed an interest in the Physical Culture Movement (learn more here), it’s time to do some research. First things first, we know that Massage has played a role in many traditional cultures going back over 5000 years (Pettman, 2007). My interest with this piece is exploring the idea that Swedish Massage was the foundation for a modern, anatomically derived, therapeutically driven form of ‘Western’ Massage. 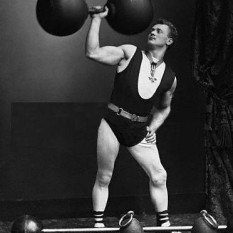 The Physical Culture Movement was a health and fitness movement that began in Europe during the early 1800’s (McKenzie, 2013). The main reasons for the Physical Culture Movement were the Industrial Revolution and a sense of emerging European Nationalism. Following Napoleons previous expansion across Europe many nations identified the need to have a fit, strong population that was military ready (Pfister, 2003). Also, one of the hallmarks of the Industrial Revolution was the transition from rural agricultural economies towards urban industrial economies (Hunt & Lautzenheiser, 2011); this resulted in a more sedentary society and ‘diseases of affluence’ such as obesity, high blood pressure and gout. These factors created great interest in health and physical activity (Pfister, 2003); subsequently Physical Culturists set about exploring the idea of ‘movement as medicine’ and took a scientific interest in exercise and health (Moffat, 2012). Physical Culture systems were developed along national/cultural lines; the two main players were the German Turnen (learn more here) and Swedish Gymnastics (Pfister, 2003). The RCIG’s curriculum also included the study of human anatomy, physiology and pathophysiology, subsequently graduates often espoused the superior scientific credentials of the Swedish Gymnastics system (Ottosson, 2010; Pfister, 2003). By blending the manual therapy techniques from the Medical Gymnastics stream with an education in the Health Sciences this was the beginnings of a rational approach to Massage and manual therapy (Pettman, 2007). From its beginnings in Stockholm, Swedish Gymnastics expanded in to other parts of Europe (Pfister, 2003) and first mention of Ling and his gymnastics system in the United States was around 1830. 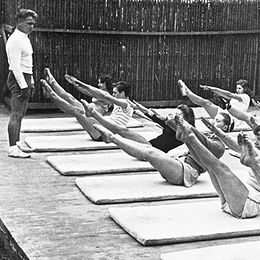 The RCIG and students of Swedish Gymnastics considered themselves to be health care revolutionaries and were determined for their ideas to be popularly embraced. They wanted to change orthodox medicine which they considered overly dependent on pharmacological cures (Ottosson, 2015). Ling left very little in the way of written record about Swedish Gymnastics; this task was passed on to his students (Pfister, 2003). Titles such as ‘Swedish Movements on Medical Gymnastics’ (1896) by Professor T.J. Hartelius and ‘An Exposition of the Swedish Movement-Cure’ (1860) by G.H. Taylor were published and interestingly whilst detailing passive movements, with descriptors such as knockings, strokings, shakings and vibratings; neither publication used the term Swedish Massage or described techniques such as Effleurage, Petrissage and Tapotment (Benjamin, 1987 AMTA). So whilst Lings Swedish Gymnastics did a lot to promote scientifically derived alternatives to pharmacological care using manual therapies, exercises and passive movements, who created the Swedish Massage style and began use of the terms Effleurage, Petrissage and Tapotment? The man responsible for introducing the terms Effleurage, Petrissage and Tapotment in to popular use is said to be Dutch Physician Johan Mezger (1824-1887). Whilst working for an Amsterdam based Orthopaedist Mezger was exposed to Swedish Gymnastics and was inspired to train as a Physical Educator. Following this he continued on to study Medicine and graduated in 1868 after defending his thesis titled ‘The Treatment of Distorsio Pedis with Frictions’. Mezger is credited with bringing Massage back to the attention of the medical profession and creating the five techniques (Effleurage, Petrissage, Tapotment, Friction and Vibration) that are used to perform a Swedish Massage treatment (Terlouw, 2007). So how does a Dutch student of Swedish Gymnastics end up using French terminology to describe various Massage techniques? Mezger had a real interest in Massage and as a part of the research for his medical Thesis he was exposed to Massage related thinking via some of the old Roman bathhouses located in France. So it would seem Mezger was referencing language he learned in France to describe his Massage techniques (Benjamin, 1987). What about the origins of the term Swedish Massage? A lot of the records I have described were originally prepared in languages such as Swedish, Dutch and French; it would seem some things just got lost in translation. When translating Mezger’s Massage techniques, terms like ‘massage a’ frictions’ that had an English equivalent were described as ‘ friction’, however terms that had no equivalent such as Effleurage, Petrissage and Tapotment continued to be used. The term Swedish Massage likely evolved from similar confusion involving Swedish Gymnastics, interestingly in Europe they refer to the Swedish Massage style as a ‘Classical Massage’ (Calvert, 2014). Swedish Gymnastics gave Massage (manual therapy) a scientific, anatomical origin for the first time. Mezger introduced the Classical Massage terms Effleurage, Petrissage and Tapotment; whilst advancing Massage in medical and health settings. So next time you get a Classical Massage don’t forget the ‘massage a’ frictions’! Benjamin, P. (1987). Notations to the general principles of gymnastics by Per Henrik Ling. Journal of the American Massage Therapy Association, Winter edition. Hartelius, T.J. (1896). Swedish Movements on Medical Gymnastics. Battle Creek, Ml: Modem Medicine Publishing Co.
Hunt, E.K. & Lautzenheiser, M. (2011). History of Economic Thought, 3rd Edition: A Critical Perspective. Oxford, UK: Routledge. Pettman, E. (2007). A History of Manipulative Therapy. Journal of Manual & Manipulative Therapy 15 (3), 165-174. Terlouw, T.J.A. (2007). 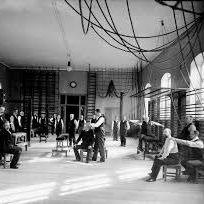 Roots of Physical Medicine, Physical Therapy, and Mechanotherapy in the Netherlands in the 19th Century: A Disputed Area within the Healthcare Domain. Journal of Manual & Manipulative Therapy 15(2), 23E-41E.